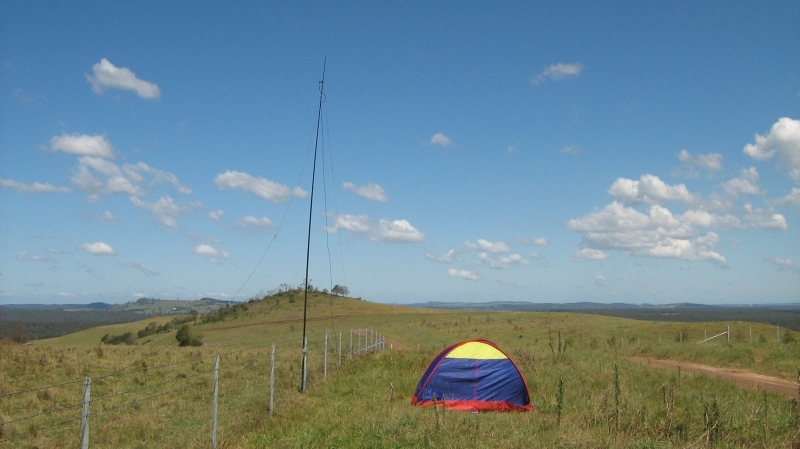 The Wyong field day is a major hamfest held at Wyong every February, with equipment exhibition and sales, a flea market for used equipment sales, a seminar room and supported by food and refreshments. I have visited this event every year of the last 10 and have usually looked at the new equipment, passed through the flea market, sometimes buying something unique and desirable (such as the 3 element 6m yagi I bought one year) but mostly just catching up with friends who I often see only at this event. Some I never hear on the radio these days but they turn up at Wyong in February. Having decided in advance to activate several summits on the way to Wyong, Andrew VK1AD (ex VK1NAM) and I set out from Yass at about 9am and reached the parking area in the vicinity of VK2/SY-002 Riley’s mountain at about 12:30, having stopped for coffee on the Hume Highway. The walk from the carpark to the summit was signposted as 2.6km each way or 5.2 km for the round trip. The track through the forest was in good condition and the forest was green and healthy, with chirping birds the only sound breaking the peace apart from the noise of our boots on the gravel and dirt track. 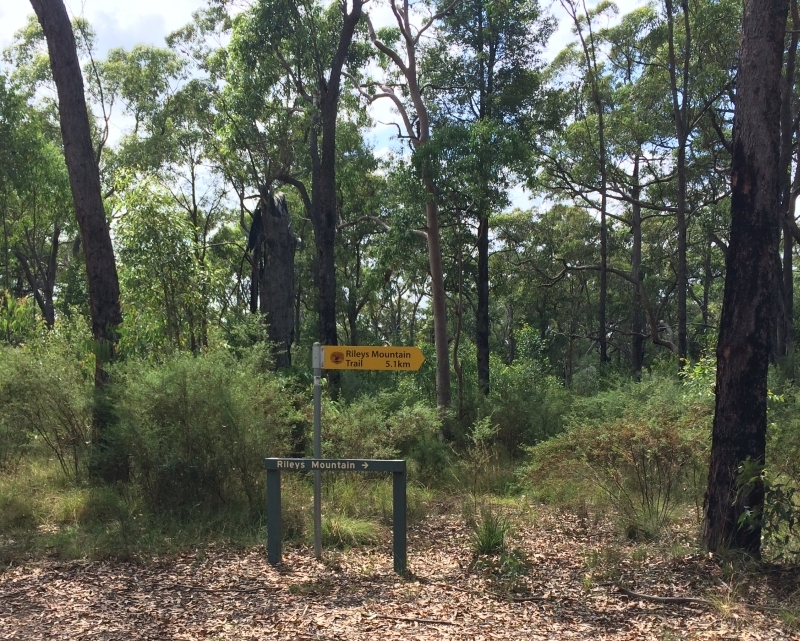 After about 30-40 mins steady walk we found a sign pointing left labelled “Riley’s Lookout”. 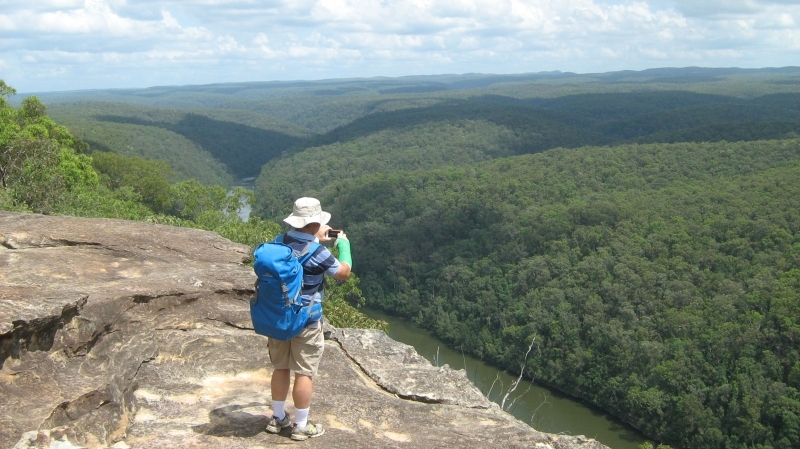 Taking the side path we were soon standing high above the Nepean River enjoying the view of the forest and river. 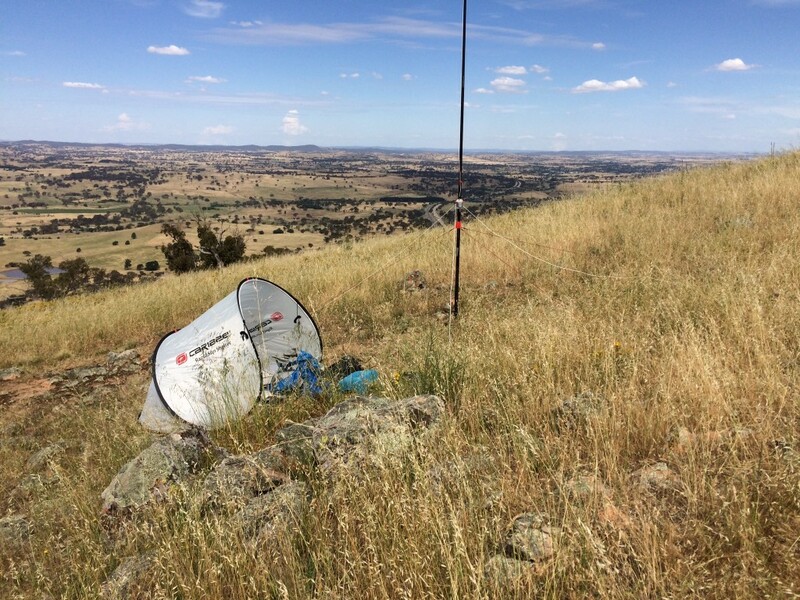 Considering where to set up our radio gear to activate this rather nice location, we decided to walk the 50m or so back to the main track and set up there, using the sign as a support for the antenna pole. In no time we had the antenna up in the air, the radio connected to the antenna and power and the microphone and key paddle plugged in. We posted spots on SOTAWATCH to be sure chasers and other activators looking out for S2S contacts knew we were on the air and where to find our signals. A good session of contacts ensued with reasonable signals into Victoria, Queensland and South Australia, as well as some closer contacts in various parts of New South Wales. 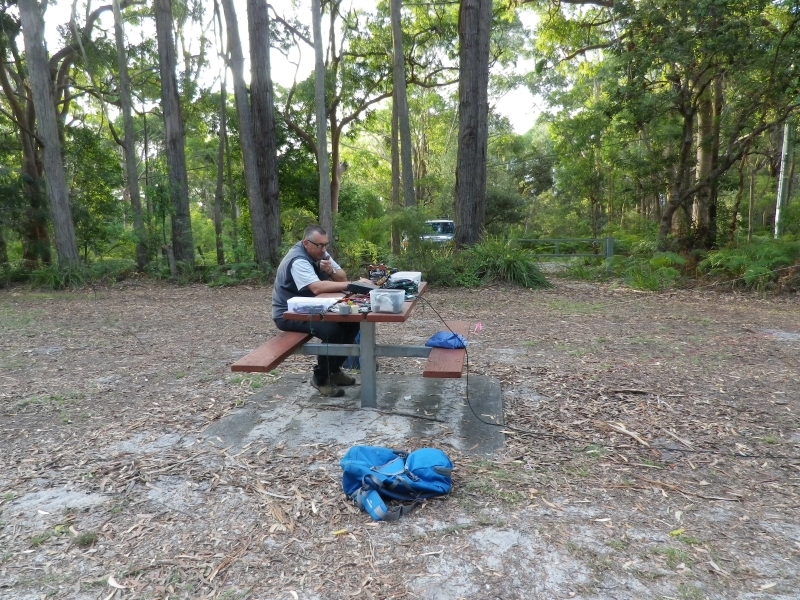 One of the contacts made was with Marek OK1BIL/VK2 who was operating at Mt Alexandra with Compton, VK2HRX. We met Marek at Wyong the next day and had a good chat with him. Leaving Riley’s mountain after about an hour of operation, we headed northwards to the Great Western Highway and then towards Sydney, onto the Newcastle freeway and eventually turned off the highway near Ourimba, to reach Mt Elliott VK2/HU-093. 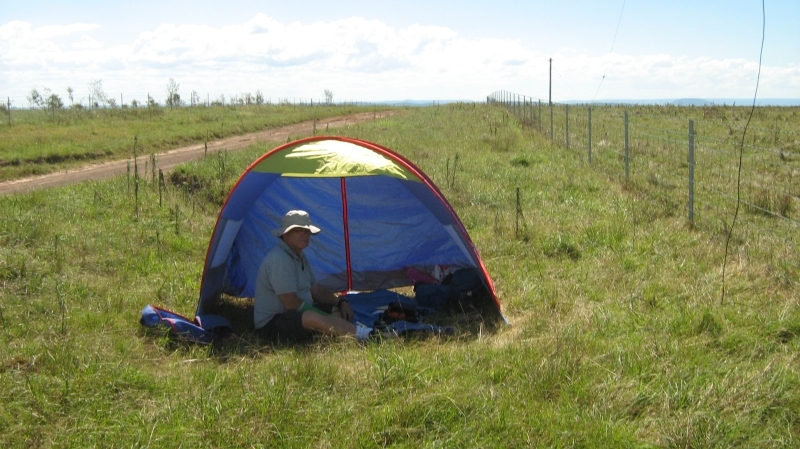 Again this was a very pleasant and easy place to operate from, with picnic tables, expanses of grass inviting sevevral poles supporting antennas. Here we used a 20m quarter wave vertical on one pole and a linked dipole on the other. 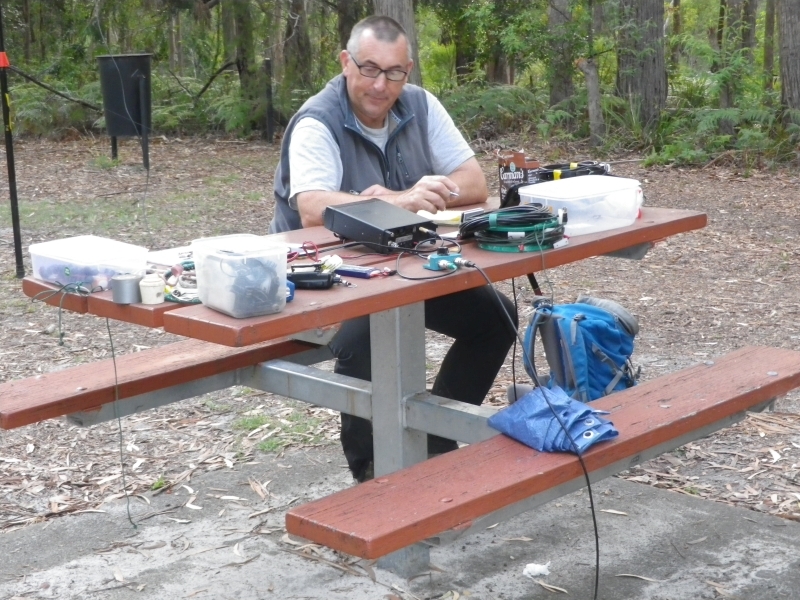 On 20m we made a few CW contacts into Europe and some into other parts of Australia. Conditions were not good enough on 20m to make long distance SSB/voice contacts. Shortly before sundown we closed down and made our way to Wyong where we had booked accomodation for the night (two months earlier, or more). We had a meal and some cool drinks at Panarotti’s at Tuggerah Westfield. In the morning I woke early and decided to observe the International Space Station’s pass which was almost directly overhead. I lost sight of it to the northeast when it was over New Caledonia according to the tracker. It was brighter than most other things in the sky apart from the moon. At the Field Day there was a good collection of second hand goods for sale in the flea market, some new items but it was strangely quiet in the corner where one of the larger traders usually is found. At the VHF seminar, some discussion about the rules for VHF/UHF contests prompted me to make some unplanned comments about operating practices in these events, specifically about the practice of callinq CQ, making all contacts and listening all on 144.150, which many field and home stations appear to do. A straw poll of those present revealed that while a number of people operated in that event, only a small number of them had made contacts into VK1, only 250km away from the Sydney area. I suggested that this was due to being stuck on the calling frequency and it would help everyone to make more contacts, make more points in the contest and increase activity if they could move to other parts of the band during these events. Let’s see whether a direct appeal to the operators has the desired effect. I wish the contest rules did not specify a calling frequency. We departed Wyong at about 12 noon and headed homeward. After a lunch break at Pheasants Nest we continued to the turnoff for Mt Wanganderry, VK2/IL-003. Setting up there we were able to make contacts on 40m using SSB and CW, we did try 20m without any success. This was a new summit for us both. I hoped this activation would allow me to add some new unique callsigns to my stations worked list for the 10m part of the 6m/10m challenge. I used three new pieces of equipment for this activation. First, the antenna. I thought my inverted Vee dipole could be improved upon for long distance contacts (DX), so I cut a quarter wave vertical with 4 radials as a trial antenna. 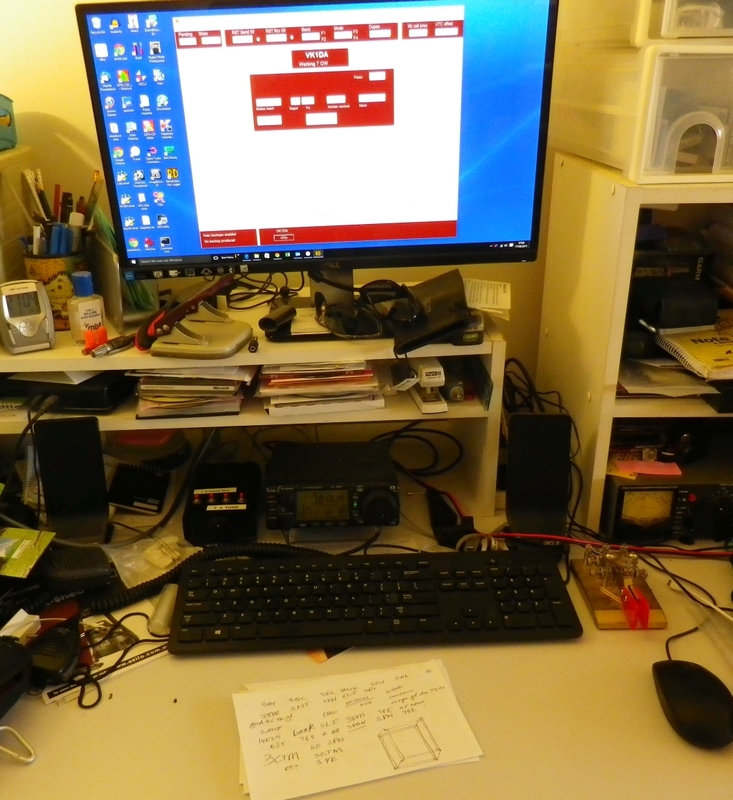 It seemed to work very well and I heard and worked stations in Japan and the USA without much difficulty despite using 5 watts from the FT817. The base of the main vertical element was at about 1.5m above ground, with the radials sloping down to ground level but insulated off the ground by small lengths of hootchie cord. The main radiator element was taped to the squid pole. It was actually the lower half of the 20m vertical I have used for several activations on that band. I simply cut it at half its length, then crimped a set of spade lugs onto each half. Thus, a linked vertical. I should probably do the same for the radials. Signals from some of the Japanese and US stations were indicating s9 on the strength meter of the 817. What I found was that it was necessary to call the louder stations, sometimes several times, to make contacts. 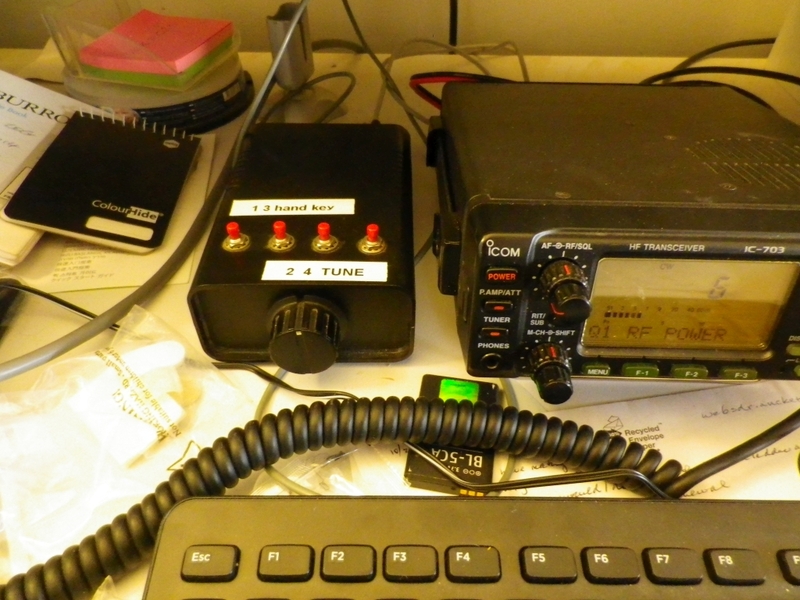 I did have a “run” of about 5 contacts on 28.052 where I called cq for about 15 to 20 minutes at one stage. But to really attract attention you need a big signal and mine certainly wasn’t big. The second new piece of equipment was a sun shelter, kindly bought for me by my wife, who worried that I would get badly burned sitting in the sun on hilltops. 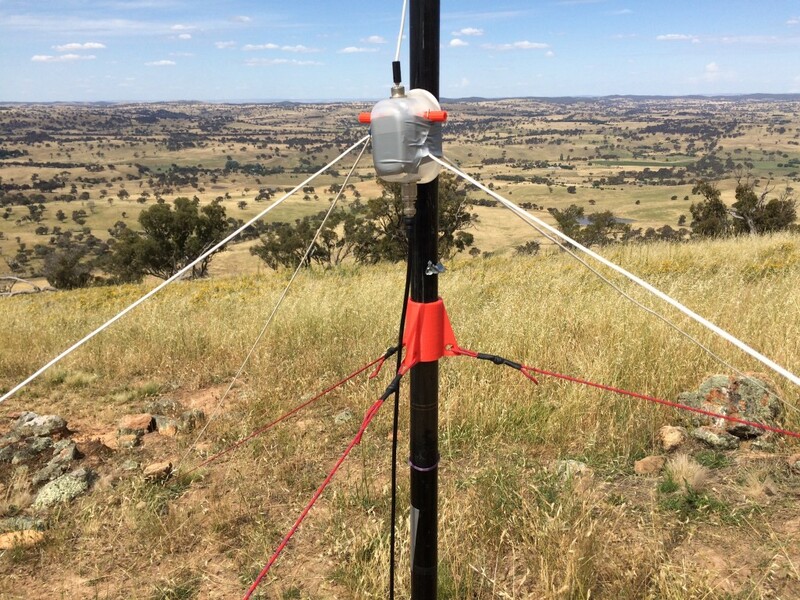 And the third new item for this activation was the guying kit that Adan VK1FJAW made for me, complete with 3D printed guying ring that sits right on the top of the first segment of the Haverford 7m squid pole. With guys about 2m in length, the pole was as stable as if it was tied to a fence or a steel stake. I’m very pleased with that one, Adan! After working about 25 stations on 10m CW I decided to take a break from the pressure of the contest speed (about 22 wpm in my case but some of them were running somewhat faster). 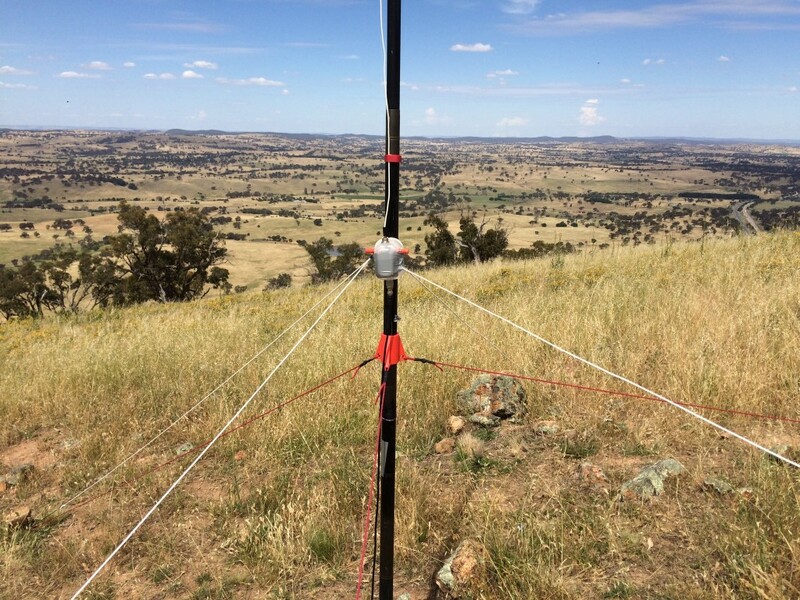 I pulled down the squid pole to put up the usual linked dipole set to 40m. 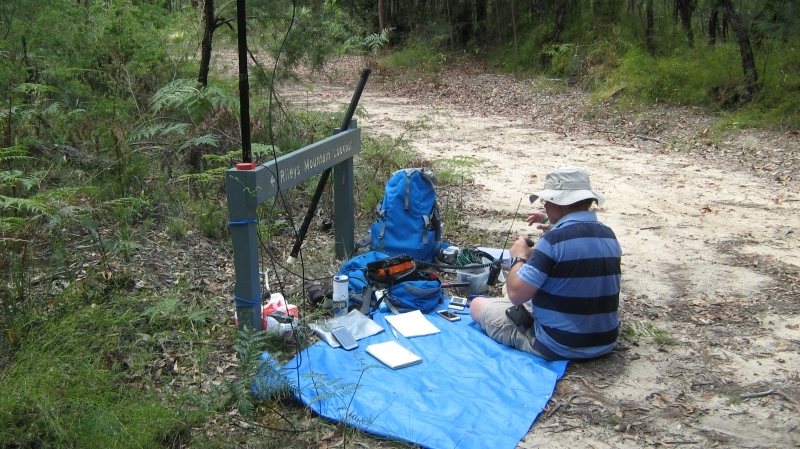 Then I found I was almost the only SOTA portable on the air, apart from Greg VK1AI who I could barely hear. The parks weekend was in full flight, with a dozen or more portables workable at various locations around NSW, Victoria and South Australia. After the break on 40m ssb I decided to have a final listen on 10m and after removing the 40m dipole and feedline, I made a few more contacts on 10m CW. Final 10m cw contact count was only 28. More power and an even better antenna next time! The exchange in the RD contest is a signal report in standard RS(T) format, followed by a 3 digit number indicating the number of years the operator has been licenced. This year it was 50 for me so I thought that was a good excuse to operate in the RD. 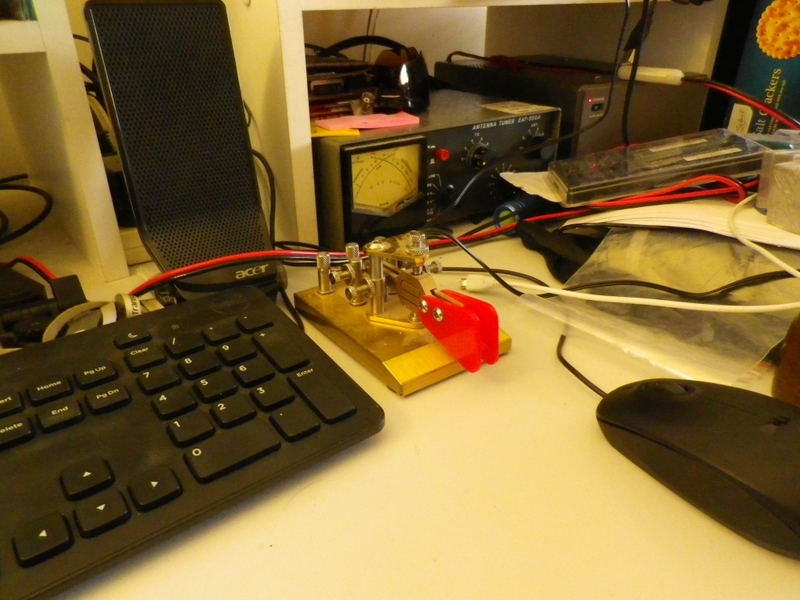 I decided to use CW only and use the IC703 at 5 watts output. This put me into the QRP/CW category. The bands were ok for east coast contacts on 40m and 80m. I didn’t hear any VK6 on CW which was unusual. I did hear one on 20m but conditions were poor there and I was unable to make any contacts. Total contact count was 100 on the RD logger screen but 99 in the summary – perhaps I confused it at some point when I backed out a contact that didn’t get completed. 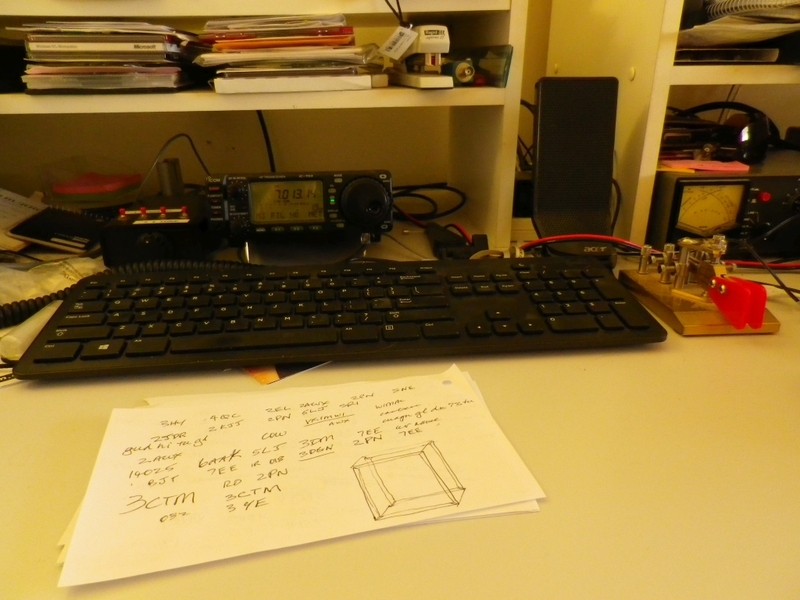 Reminder that the QRP Hours contest is on 14 April 2012. Rules are in AR for April 2012. Here is a link to the rules on the QRP club site. 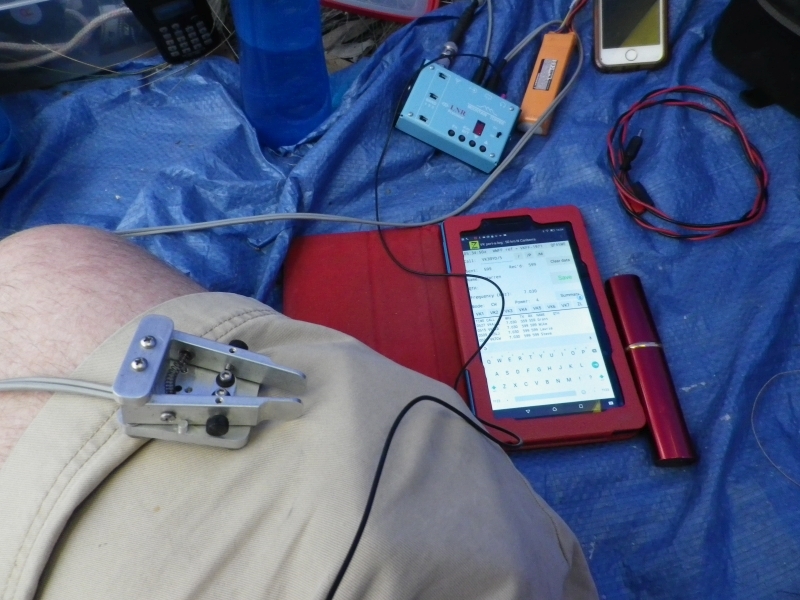 QRP stations can work any station whether QRP or not. Exchange is signal report plus serial number starting at 001. No repeat contacts. 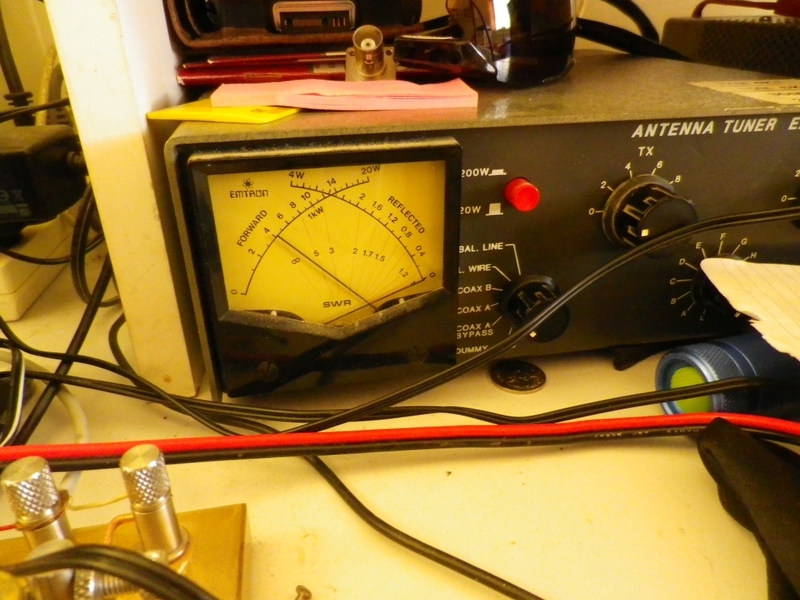 QRP = output power no more than 10 watts. Participation of higher power stations is appreciated as it warms up a contest to have more in it giving contacts.